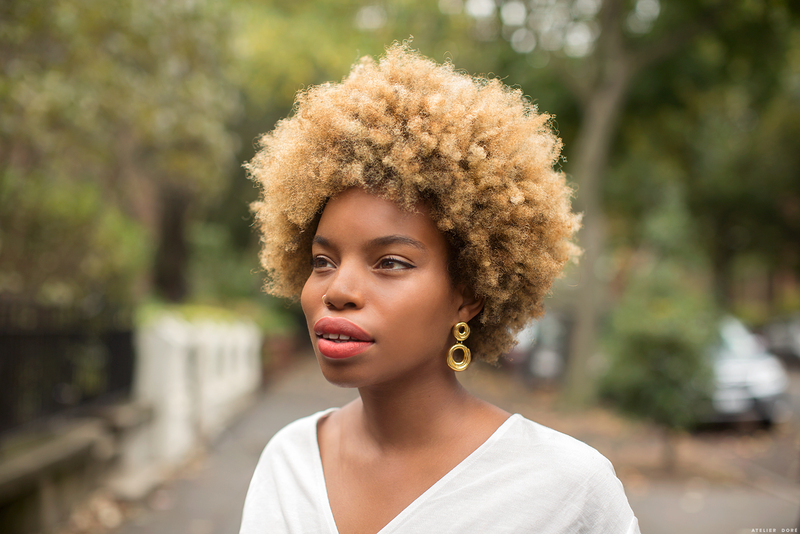 Last Saturday, my friend Rubi Jones and I hosted a little gathering that sparked a thought-provoking conversation about the inner workings of style, beauty, and hair. We had wine and cheese, and I ate my weight in olives. Right before we arrived, we ducked into a local bar I used to visit before I had River, and had a pre-conversation conversation that left me in tears. The entire event was an opportunity to give ourselves and a few new friends space to converse about things that usually happen in the comforts of our living room or salon. It was a time to show that these conversations aren’t only reserved for women who we know through and through, but they can be threaded between strangers given the opportunity. We closed the night with the stars above, and fat leaves from a tree plopping on our backs. I wore a vintage velvet jumper and ended up taking off my shoes– which made me feel at home. We hosted the conversation in the backyard of Concrete + Water. If you ask me, there is nothing like NYC backyard’s in the fall. A month or so ago, I received earrings from One Six Five jewelry and I haven’t been able to take them off! They’re grand and sleek and incredibly light weight. Because I am so obsessed, I knew the ladies would be too, so we gifted them as a sweet thank you gift for attending. The string lights turned on as the conversation rolled on, and it felt just right. A big thank you to all the wonderful ladies who attended! Rubi and I hope to have more of these conversations soon, so if you’re interested, sign up for my emailing list to stay in the know! Where is your dreamy indigo jumper from? Love it!